A new £56 million UK innovation centre, which will revolutionise how medicines are manufactured, is to be located in Renfrewshire. A world-first, the new industry-led Medicines Manufacturing Innovation Centre (MMIC) will offer pharma companies, from start-ups through to multinational organisations, a unique service to develop and adopt novel manufacturing techniques to adapt into their own manufacturing processes. By transforming processes and technologies, the speed of bringing new drugs to market could improve drastically. With a global market worth £98 billion, this investment will help put the UK, and Scotland, at the forefront of technology and innovation in small molecule pharmaceutical and fine chemical manufacturing which still makes up the bulk of how new medicines are made. The pharmaceutical sector in Scotland employs 5000 people directly and supports a further 16,500 jobs. Supported by Scottish Enterprise (£15 million), UK Research and Innovation, through Innovate UK (£13 million) GSK and AstraZeneca (£7 million each), the MMIC is one of the early projects across the UK to receive funding from the UK’s Industrial Strategy Challenge Fund. Benefiting companies right across the UK, industry has played a key role in shaping and developing the MMIC to ensure its success. The new centre will be positioned next to the £65 million National Manufacturing Institute for Scotland (NMIS) and at the heart of an Advanced Manufacturing Innovation District. The MMIC aims to attract over £80 million of R&D investment by 2028 and will create 80 high value jobs directly by 2023. Up to 90 jobs will also be created or retained in companies involved in the design and build phase and post-construction. Indirect employment will be generated through start-ups, SMEs and large companies that will grow their businesses using the transformative manufacturing technologies developed within the MMIC. Scottish Government Minister for Business, Innovation and Energy, Paul Wheelhouse, said: “I am delighted that the Medicines Manufacturing Innovation Centre (MMIC) will be located in Scotland, given its potential to become a global centre of excellence and bringing significant benefits to Scotland’s economy. The location of the MMIC is also a very positive endorsement of Scotland’s Life and Chemical Science sectors and will build on our internationally recognised strengths in both Research and Development and manufacturing. “Scottish Enterprise, on behalf of Scottish Ministers, is investing £15 million in the MMIC helping to fulfil the vision of Scotland’s Life Sciences Strategy. This will help to make Scotland the location of choice for the life sciences community and help us grow the industry’s contribution to the Scottish Economy by 90%, to £8 billion by 2025. “As well as helping to attract further manufacturing investment to Scotland, the Centre will also be well placed to support new business start-ups and spin-outs and enable established life and chemical science companies to profit from innovation. Linda Hanna, Managing Director at Scottish Enterprise, said: “We are delighted to welcome the new MMIC to Scotland. There is no other facility like this in the world and is a fantastic endorsement of Scotland as an ideal place to invest in global excellence in high value manufacturing drawing on our skills, innovative companies and academic expertise. Andy Evans, Chair of the Medicines Manufacturing Industry Partnership (MMIP) and Head of Macclesfield Site for AstraZeneca, concluded: “The UK must remain a globally attractive and competitive location for advanced medicines manufacturing as this is key element in our economy making a very significant contribution to our exports. 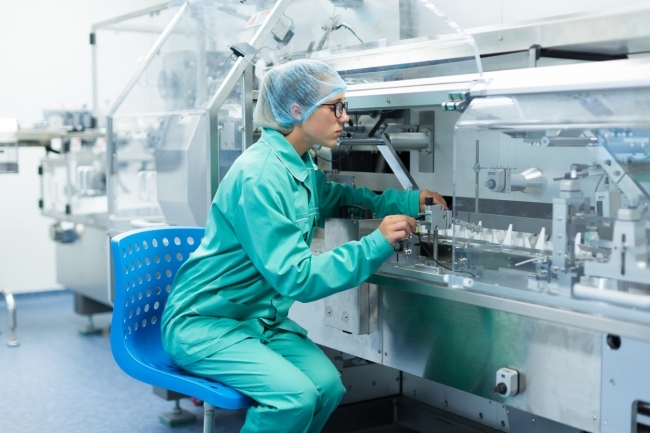 Enabling the growth of medicines manufacturing is hence a key part of a successful Life Sciences Industrial Strategy and the MMIP is pleased to see this combined investment between Business and Government in manufacturing innovation. 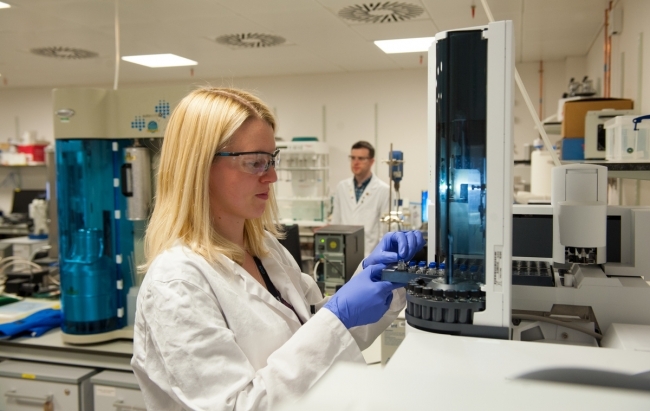 The MMIC will be led by the Centre for Process Innovation (CPI) in partnership with the University of Strathclyde’s Centre for Continuous Manufacturing and Crystallisation (CMAC) and the Medicines Manufacturing Industry Partnership (MMIP).